Buildings contribute a large proportion of carbon emissions. However, the benefits of green buildings are not only environmental, but also financial and social. In Australia, the Green Building Council of Australia (GBCA) is the leading non-profit accreditation organisation. More than 30 countries around the world have similar initiatives. There are a range of green star tools available for different types of buildings and for different phases in building management from construction to the fit out and operation of a building. 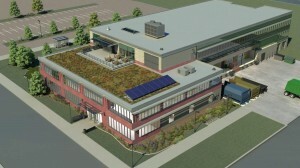 Retrofitted buildings can also apply for a Green Star rating. The higher the Green Star rating, the greater the environmental savings across the four key areas of greenhouse gas emissions, energy use, water consumption, and construction and demolition waste. Green Star buildings are slashing greenhouse gas emissions, making significant savings on energy and water consumption and costs, and preventing truckloads of waste to landfill. A very short Austrade video follows – it includes examples of the worlds most sustainable buildings. A comprehensive website with tools for sustainable buildings has been developed by the USA Office of Federal High-Performance Green Buildings which is the General Services Administration’s green building center of excellence. 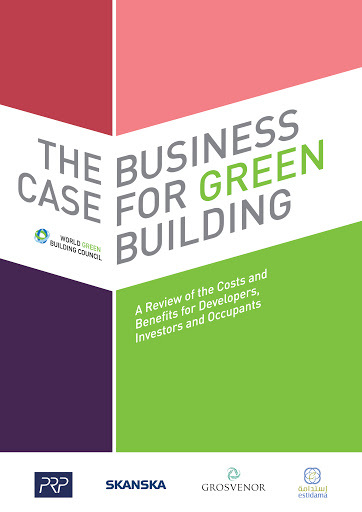 The Value of Green Star: A decade of environmental benefits, released by the Green Building Council of Australia (GBCA) today, analyses data from 428 Green Star-certified buildings and fitouts and compares it to the ‘average’ Australian building and minimum practice benchmarks. On average, Green Star-certified buildings produce 62 per cent fewer greenhouse gas emissions and use 66 per cent less electricity than average Australian buildings. They also produce 45 per cent fewer greenhouse gas emissions and consume 50 per cent less electricity than new buildings designed and constructed to meet the construction code requirements. Taken together, the 428 Green Star buildings in the study have reduced electricity consumption by 580,000 megawatt hours or 2,088,00 gigajoules per year. This reduction is equivalent to five per cent of the Hazelwood Power Plant’s total annual output, or the same as 76,000 average households’ annual electricity use. The cumulative greenhouse gas savings from the Green Star-rated buildings surveyed, when compared to the average, totals 625,000 tonnes of carbon dioxide a year. That’s equivalent to taking 172,000 cars off our roads. Green Star buildings use 51 per cent less potable water than average buildings. That saving – which amounts to 3,300,000 kilolitres of potable water a year – is enough to service 18,000 households or fill 1,320 Olympic swimming pools. These water-saving measures deliver significant payoffs, from cost savings to habitat conservation, and from reduced pressure on infrastructure to energy conservation, as improved water efficiency reduces the need for water pumping, delivery and waste water treatment. The 2010 National Waste Report found that construction and demolition waste accounts for 38 per cent of the total waste sent to landfill. The average new construction project has a 58 per cent recycling rate. In comparison, Green Star – As Built certified buildings (those projects that achieve a rating for completed construction) recycled 96 per cent of their construction and demolition waste. In total, 37,600 truckloads of construction and demolition waste from Green Star-rated projects – 564,000 tonnes – have been diverted from landfill due to good waste management practices. For more information visit the website of the Green Building Council of Australia. What’s a green building like? CH2 (Council House 2) built by the Melbourne City Council is one example of a green building design. Among other things, it operates on 100% fresh air. It cost $52 million to build. The pay back period is 5 – 6 years when productivity savings are considered. For more details on CH2 click here. Who makes green buildings work? Green buildings are not only about bricks and mortar. How people interact with the space and manage the functions occurring within the building is key to making it work. This 2010 journal article by Brown et al (University of British Columbia, Canada) is entitled, ‘Evaluating user experience in green buildings in relation to workplace culture and context’. The article highlights some of the complex issues around making a green building work from the perspective of culture and work design. 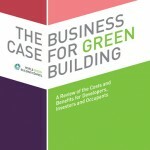 Also, check out this brief 2012 speech by Romily Madew of the Green Building Council of Australia entitled, ‘Who makes high performing green buildings work’? It mentions the role of facility managers and corporate culture. World Green Building Week is in September each year.